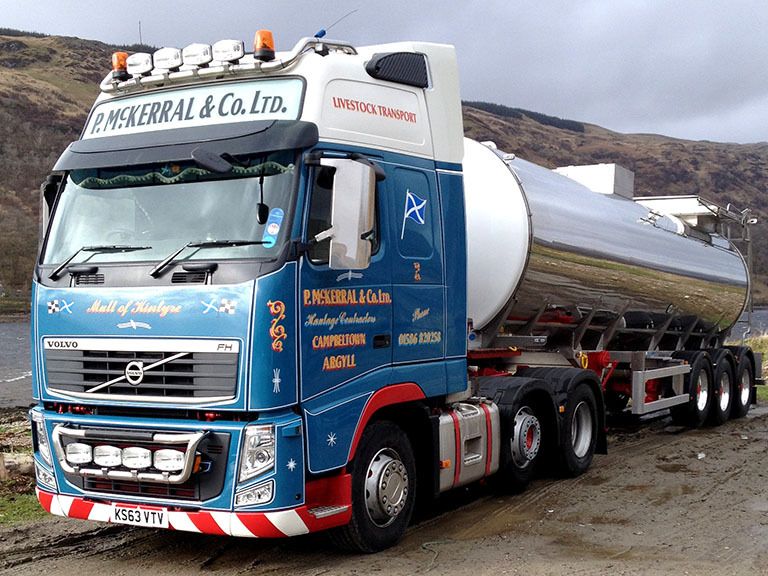 Formed by Peter McKerral in 1936 as a farm business, before expanding into haulage in 1972, we now run a fleet of 50 modern vehicles from our three main sites in Campbeltown, Lochgilphead and Strachur. 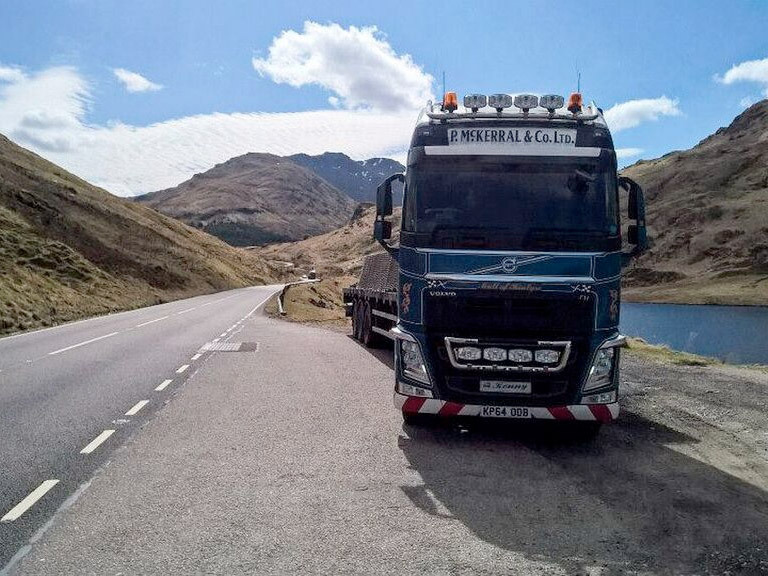 We've grown considerably over the last 25 years with particular expertise in timber, livestock and fish as well general haulage. We have gained strong customer relationships throughout the years and have a well known fleet all over Scotland which are seen far and wide everyday. We're proud to be members of the Road Haulage Association, Freight Transport Association, Forestry Contracting Association and the Forestry Industry Safety Accord, as well as holding TASCC and FIAS accreditations. Members of the Forestry Industry Safety Accord, we have over 25 years of experience in moving timber safely from forestry sites to port and direct to saw mills and biomass plants. 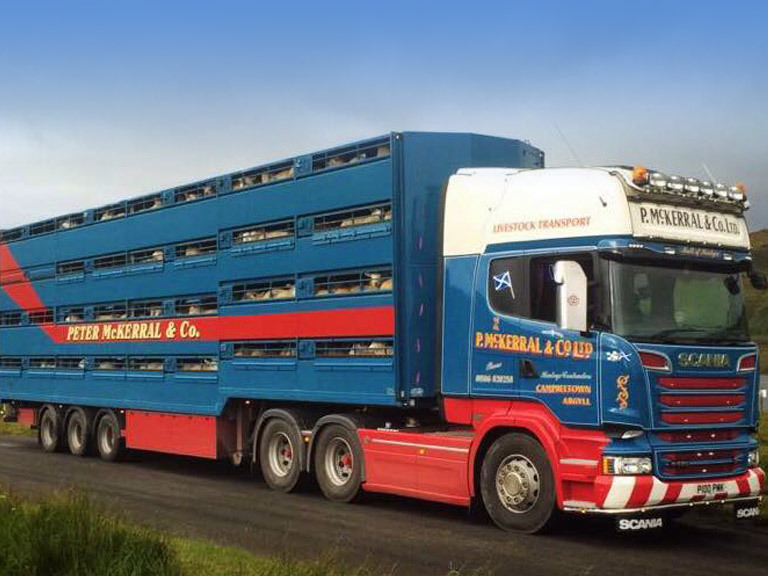 With over 40 years experience of livestock haulage, we provide a regular service to the main livestock markets and processing plants throughout Argyll and central Scotland. We currently have seven fish tankers operating from many ports throughout the West coast of Scotland, hauling harvested salmon to processing facilities. 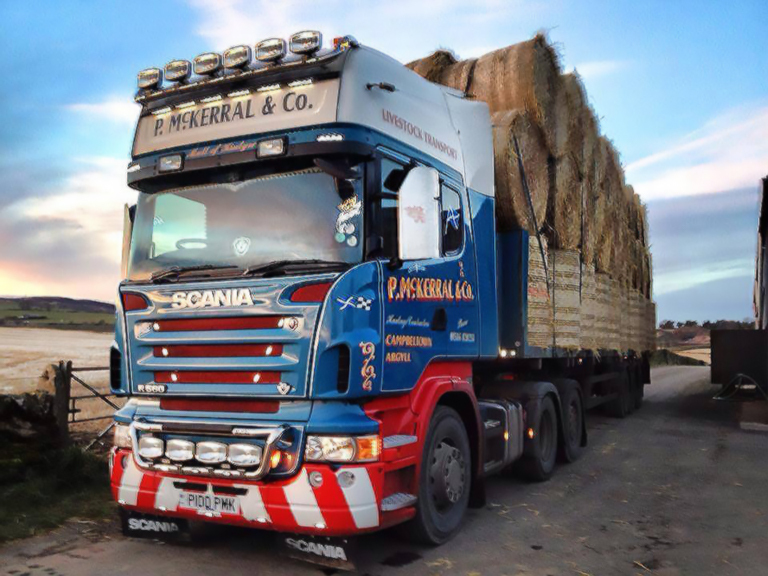 We transport a complete range of livestock feed and bedding including hay, straw and sawdust to farms throughout Argyll. Our FIAS accreditation ensures the safety and traceability of all fertilisers being transported throughout Argyll and the islands. 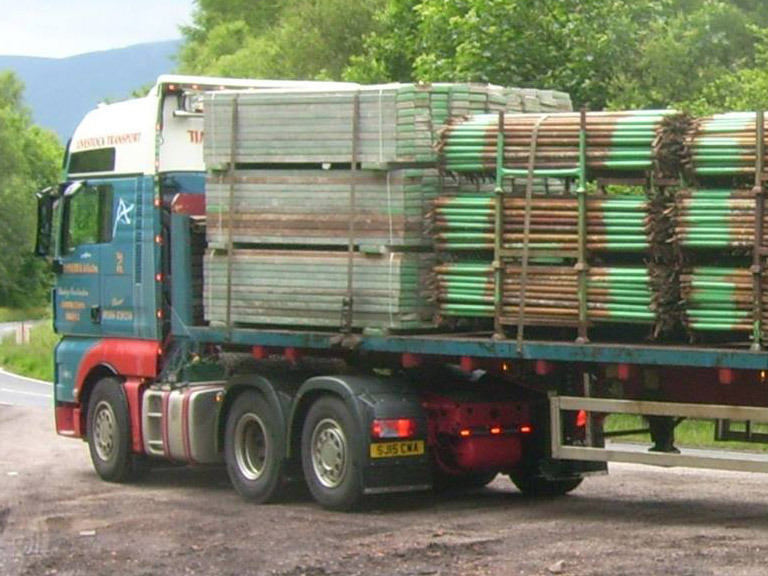 We provide transportation for all kinds of loads, including building materials, machinery, waste paper and steel, etc for all businesses throughout Argyll. 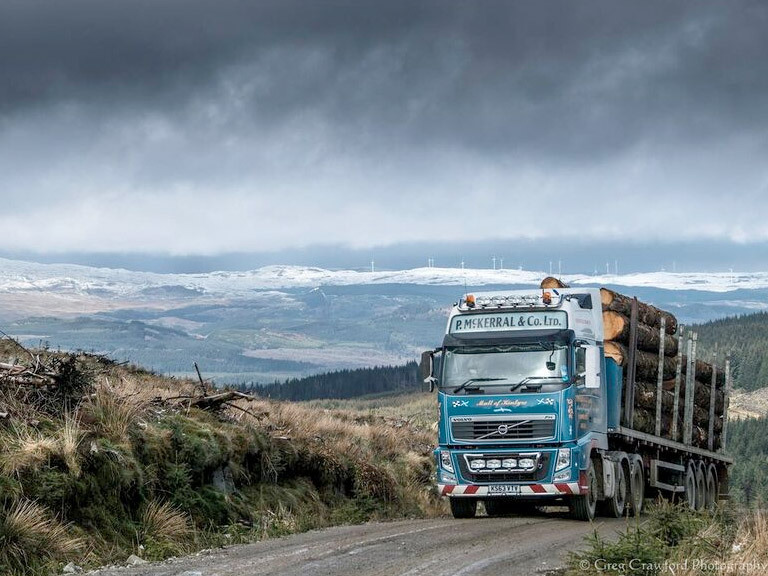 With a fleet of 50 vehicles covering over three million miles across some of the toughest terrain every year, find out about our fleet and what it takes to look after it.